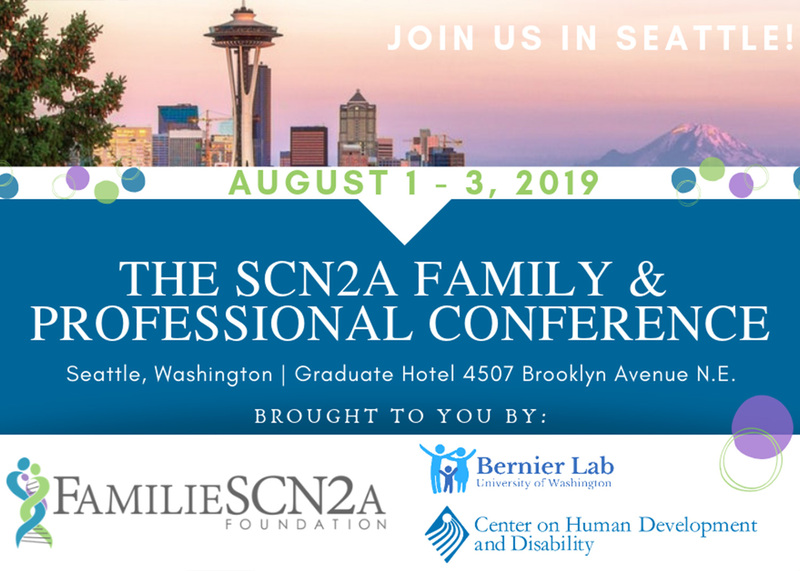 Please join us for our 3rd SCN2A Family & Professional Conference which will be held in Seattle, Washington. This conference is brought to you by The FamilieSCN2A Foundation along with Bernier Lab, University of Washington and Center on Human Development and Disability (CHDD), UW Medical Center. 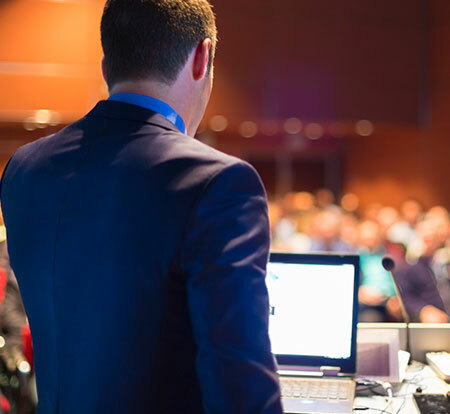 How often do you organize your family & professional conference? The FamilieSCN2A Family & Professional Conference is two days long. What is the price of registration and what's included? 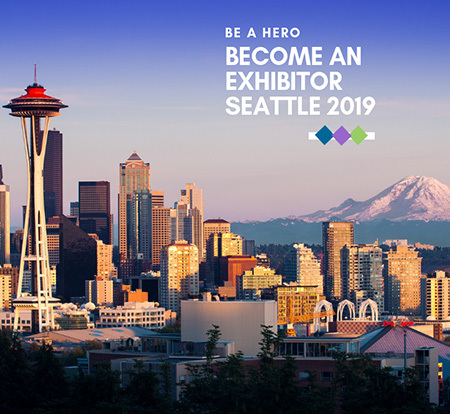 The price for registration for the 2019 conference will be $175 for families up to 6 participants total. Cost for professionals in the industry is $250 or $300 for professionals participating in the CME course. This price includes entry into all sessions Friday - Sunday, breakfast and lunch on all days, the SCN2A Family & Professional Appreciation Dinner on August 2nd and any organized activities. 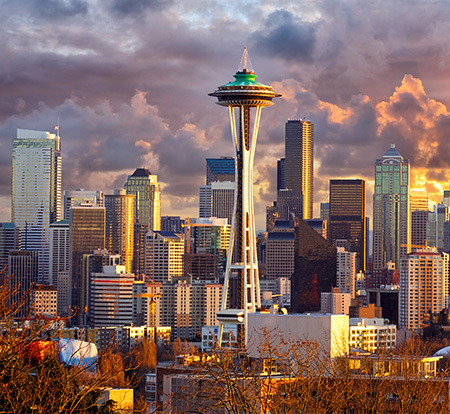 The Group Discount Rate per night for a room at Graduate Seattle is $189 (+ tax = $218.49) OR Junior Suites (if requested) $219.00 + tax. Please be aware if you are arriving earlier in the day, hotel rooms may not be ready until 3:00 pm. Everyone, including those who have been granted scholarships, will be required to provide a credit card at registration for any incidentals. I can't attend. Is there a way to view information from the meeting? Yes, presenter slides will be posted online after the meeting concludes. The audience is typically made up of SCN2A family members and professionals who work with or have an interest in SCN2A or sodium ion channels. Please note children are not permitted in the conference room, and formal childcare is not included. There will be snacks, drinks and activities in the hospitality room for children with SCN2A and their siblings. All children must be accompanied by a parent or caregiver at all times. Where have your past conferences been held? The conference and kid play rooms room may be chilly, so bring a light jacket or sweater. Dinner Friday night at the hotel will be casual; jeans are acceptable. No children are allowed in the conference room. All children attending the conference must be accompanied by a 1:1 caregiver with them. There will be a designated “kid play room” provided which will be close by. Meals, unless stated otherwise, will all be on your own – please plan ahead. We are aware that there are costs that families incur when traveling to this event that could possibly impede their participation. In an effort to assist you, we have put together a list of Funding Agencies that offer grants to families to defer conference travel expenses. Special acknowledgement to the Aicardi Foundation and the Dravet Syndrome Foundation for compiling many of these helpful pointers. The ARC of the United States. Each chapter offers different programs/services, so you need to check your local chapter: www.thearc.org/find-a-chapter. As an example, the ARC of IL offers a Consumer Stipend Project which offers grants to enable people with developmental disabilities and their family members to attend conferences of their choice that are directly related to developmental disability issues: www.thearcofil.org/programs. The Prayer Child Foundation, based in Arizona, provides assistance to children that are 18 years and younger with physical and emotional challenges. They provide support to individuals located within the PCF’s supporters’ local communities, but it is not clear where those communities are. There are no other specific guidelines, and they have a very open application process with no application deadline. They promise a 6-week turnaround: www.prayerchild.org/submit_request.html. All states have Councils on Developmental Disabilities, and some will fund conference travel. Some states require that you agree to share the knowledge you gained at the conference with others groups in your state (and we would recommend that you target schools/classrooms with other students with DS as your point of sharing, as often there is not another family with DS nearby). We have tried to identify all the active programs across the United States, but if your state is not listed below, you should take a minute to review your own state’s CDD page in case we have overlooked something. Click here for a roster of Developmental Disabilities Boards by state: www.nasddds.org/state-agencies/ Click on your state and then on “county boards” and select your county of residence. January is a key month, in that funds are typically appropriated at the beginning of the year on a first-come, first served basis. For Chicago-area families, Illinois StarNet has a Family Fellowship to reimburse parents for the expense of attending workshops, seminars, or conferences, up to $200 annually: www.thecenterweb.org/starnet/funding.html They give preference to in-state events, but it would still be worth a shot. The deadline appears to be ongoing. Idaho:The state’s Council on Developmental Disabilities provides funding for families to attend conferences relating to a family member’s disability. You need to file a post-attendance report stating outcomes/lessons learned and a plan to share what you’ve learned with other Idaho families affected by developmental disability. Deadlines are 30 days prior to the conference: www.icdd.idaho.gov/resources/funding.html. Indiana: The state’s Consumer Investment Fund supports conference travel. The application is a bit challenging, but they will fund up to $1000 per family to attend conferences relating to the family member’s disability. Deadline is 5 weeks prior to an out-of-state event: www.in.gov/gpcpd/files/Individual_CIF_Application.pdf. Maryland: The state’s Developmental Disabilities Council supports travel to out-of-state conferences. There is no fixed amount, but they encourage cost-sharing with families, rather than subsidization of the entire costs. Deadline is 90 days prior to conference: www.md-council.org/funding/conference-participation-fund/. Nevada: The Governor’s Council on Developmental Disabilities provides grants of up to $750 for individuals and $1000 for families to attend conferences out of state. No deadline provided, so call contact on the webpage for details on timing: www.nevadaddcouncil.org/consumer-leadership-3/. North Carolina: The state’s Jean Wolff-Rossi for Participant Involvement Fund offers up to $800 per person (and up to $1800 per family) for participation in out-of-state conferences. Deadlines for application are 60 days prior to registration date for an out-of-state event; decisions are made monthly on an ongoing basis: nccdd.org/initiatives/conference-funding/rossi-fund.html. North Dakota: The State Council on Developmental Disabilities has a Consumer Leadership Fund that supports family participation in conferences, up to $750 per individual or $1000 per family; they do require that grantees share experiences with the SCDD or other advocacy organizations in the state. Deadline is 90 days prior to the event: www.ndcpd.org/SCDD/pdf/2016/Consumer%20Leadership%20Development%20Fund%202016%20Combined.pdf. Oregon: The Consumer Involvement Fund is currently being redesigned. You can check back for updates on the program at ocdd.org/index.php/ocdd/getinvolved/24/, or call 800-292-4154 to check availability. South Dakota: The state’s Council on Developmental Disabilities provides funding up to $750 per person for out-of-state conference travel, but the applicant must show that other funders have been approached with no success. Deadline is 60 days prior to the event: dhs.sd.gov/ddc/stipnd.aspx. Vermont: The state’s Developmental Disabilities Council provides grants of up to $500 for families of people with disabilities to travel to conferences. Deadline is 30 days prior to the conference: www.ddc.vermont.gov/grant-information. 1. Prior to completing an application, contact the organization for which you are planning to apply for support to ensure the program still exists and your request would be eligible. 2. If you are awarded a grant, please send a thank you note to the organization. 3. Complete the necessary paperwork or online forms and submit prior to any published deadline dates. If your child is on Medicaid, especially a home and community based waiver, check with your case manager. Many waivers offer educational assistance for parents to attend conferences, paying the registration fee. Travel is not typically covered, but it is worth asking about. Procedures of the conference: “The FamilieSCN2A Foundation Family & Professional Conference will last two days. Sessions are geared toward coping skills of parents, educational and medical know-how in parenting our children, important updates from top scientific researchers in the field, as well as social activities for SCN2A children, their siblings, and parents.” You might also want to include the event agenda and/or list of confirmed speakers. A detailed budget: “Our plane tickets will cost $_____. Taxi fare from the airport (round trip) will be $_____.” Or, “We will be driving our own vehicle ____ miles to the conference and back. Mileage expenses for the trip will be ______ . [here, use the IRS formula for medical transportation of .23/mile (www.irs.gov/Tax-Professionals/Standard-Mileage-Rates)]. You could also add any hotel stays and costs of meals that you will have in transit to the conference. Don’t forget that, even if you aren’t able to find a grant to assist you, some of the expenses you incur in traveling to a conference at which medical information is shared is CURRENTLY tax deductible if you itemize your medical expenses on your federal tax return. See “medical conferences” here for 2015 rules: www.irs.gov/publications/p502/ar02.html. These may change by next year, but it is something to keep on your radar. We hope that these resources are helpful, and please let us know if you are successful in obtaining a grant, as we would like to keep track of funders who have been supportive. Or if you have additional funding suggestions, please email Leah Schust to have them added here. We will be talking pictures during the entire event. You have the option to opt out of you and / or your families image(s) from conference being used in promotional materials. If you choose to do so, please email info@scn2a.org before Monday, July 29, 2019. Due to much of the data being presented being unpublished, there is no photography or videotaping allowed at the event. The foundation will post any and all data on the website once we have obtained release. Egregious and/or multiple violations of this policy may result in disqualification from future events at the discretion of the FamilieSCN2A Foundation. We've got you covered! 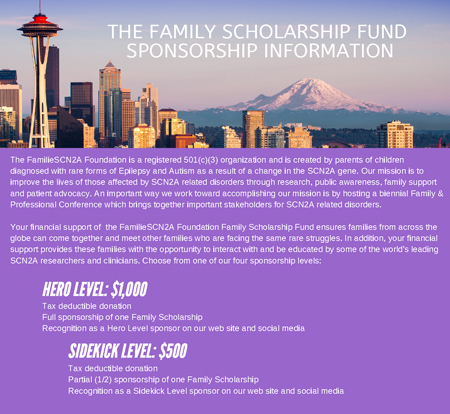 Scholarships are available for families with a child diagnosed with SCN2A. A copy of their genetic report must be emailed to info@scn2a.org at the time of the application. Scholarships may cover up to 2 nights North American / 3 nights International in the conference hotel, one family registration fee, and/or flight assistance (up to $200 North American / $500 International families.) Application deadline is April 30, 2019. You will be notified whether your application has been selected for sponsorship between May 1st - May 8th, 2019. The FamilieSCN2A Foundation is a registered 501(c)(3) organization and is created by parents of children diagnosed with rare forms of Epilepsy and Autism as a result of a change in the SCN2A gene. Our mission is to improve the lives of those affected by SCN2A related disorders through research, public awareness, family support and patient advocacy. 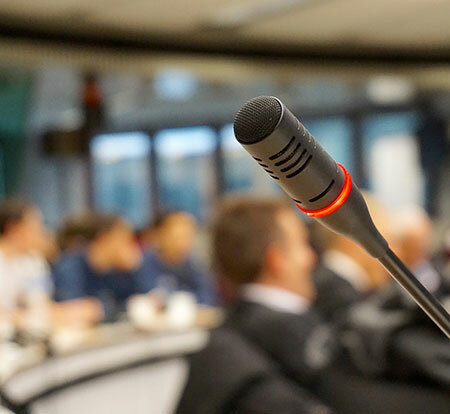 An important way we work toward accomplishing our mission is by hosting a biennial Family & Professional Conference which brings together important stakeholders for SCN2A related disorders. To support the Family Scholarship Fund visit: www.scn2a.org and click “Donate”. Donations can also be mailed directly to the foundation at: FamilieSCN2A Foundation, P.O. Box 82, East Longmeadow, MA 01028. Please note: children are not permitted in the conference room, and formal childcare is not included. There will be snacks, drinks and activities in the hospitality room for children with SCN2A and their siblings. All children must be accompanied by a parent or caregiver at all times. 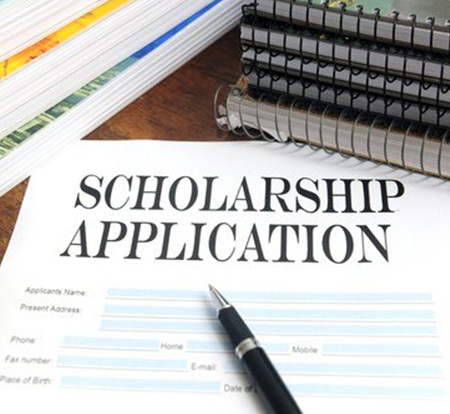 Please choose the proper link to apply for a scholarship and note the terms of the application. The rooms at the Graduate Seattle are ready for a night like you’ve never had before, where little moments of surprise and discovery will meet you down every corridor and around each corner, including Malin + Goetz amenities and complimentary wi-fi. Be prepared to be inspired. Reservations are to be made by each individual calling the hotel directly at 1.800.899.0251 between the hours of 8 a.m. – 7 p.m. (PST) Monday through Friday and 10 a.m. – 4p.m. (PST) on Saturday and Sunday, or by faxing reservations to 1.206.545.2103, or emailing requests to reservations@hoteldeca.com. 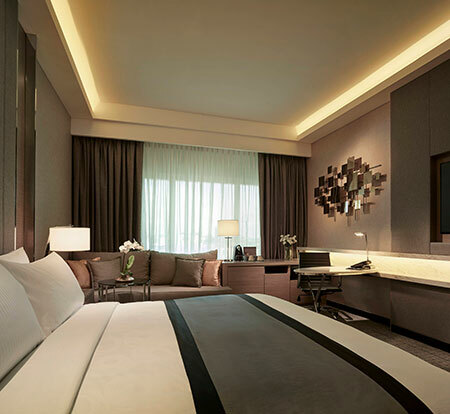 To guarantee rate and room type, please ensure the name of the group, arrival date, and any other information needed is given at the time of reservation. The group rate of $189 is valid for 3 days pre / post contracted dates, based on hotel availability (at the time of reservation). Guests have until 7/2/2019 to make reservations for this group. NOTE: Anyone who is in need of an ADA room should contact the hotel directly. For additional information on Seattle please visit: www.visitseattle.org. Take a look at our list of past conferences. The FamilieSCN2A Foundation holds our Family & Professional Conference every 2 years.